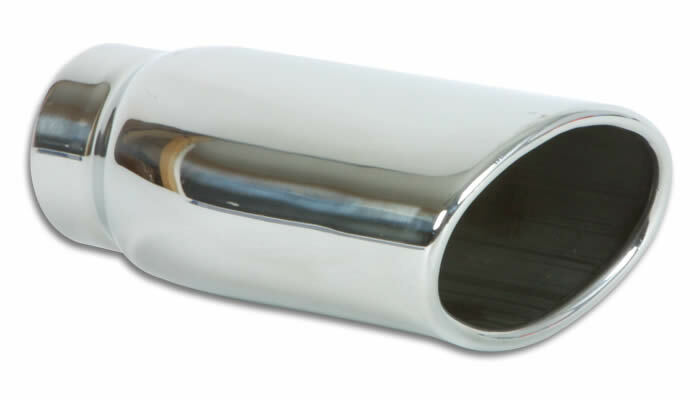 Vibrant Performance Oval weld on exhaust tips are made of 304 Stainless Steel for optimum corrosion resistance. They all feature a rolled edge outlet profile and are available in a variety of inlet and outlet sizes. All Vibrant Performance Oval tips measure 7.75" long.